Ah, good old Pi Day. That special holiday only celebrated by geeky math and pizza lovers. It's definitely my kind of holiday! 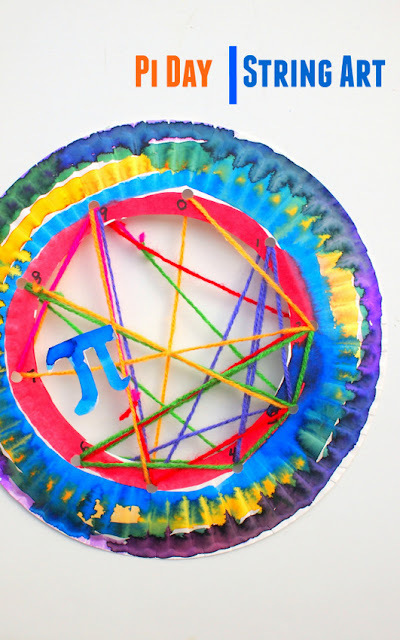 Today I'm adding to our list of easy, low-prep Pi Day Activities with this neat one that combines art and math. Tada! We're making some Pi Day inspired String Art! Pi Day Activity- Make Pi Art! Happy Pi Day everyone! I remember thinking this holiday was really cool when I was younger. We let out our inner nerds, drank soda, and ate a pizza pie in class. Earlier this week I whetted your mathy appetite when I shared how I turned Pi into wearable art. My super easy and colorful Pi Day Bracelets were made by stringing different colored beads according to the digits in Pi. Today I'm celebrating Pi Day with two colorful and geometric pieces of Pi Day Inspired Artwork. 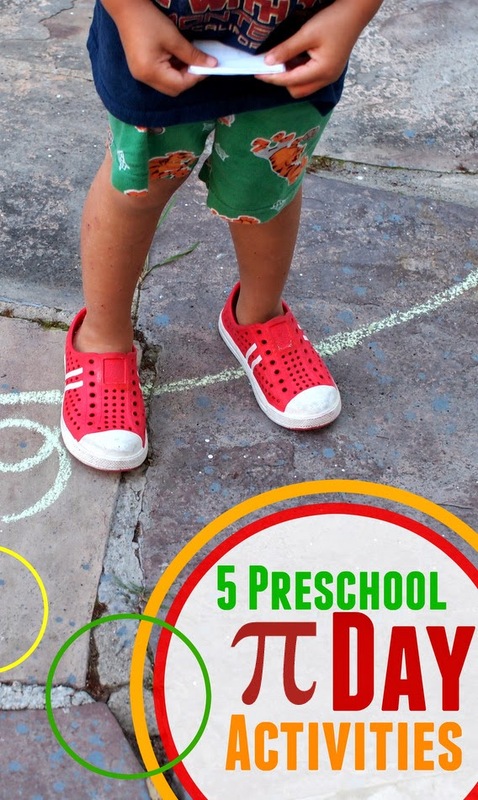 And if you have younger preschool aged children, check out my 5 easy ways to celebrate Pi Day with Preschoolers! Now let's celebrate your inner nerd and create some fun artwork to brighten up your wall. Let's get started!